Stance Fleur Snow Socks Coral, , Growing season is long gone, but you can still cultivate something colourful with Stances Fleur. 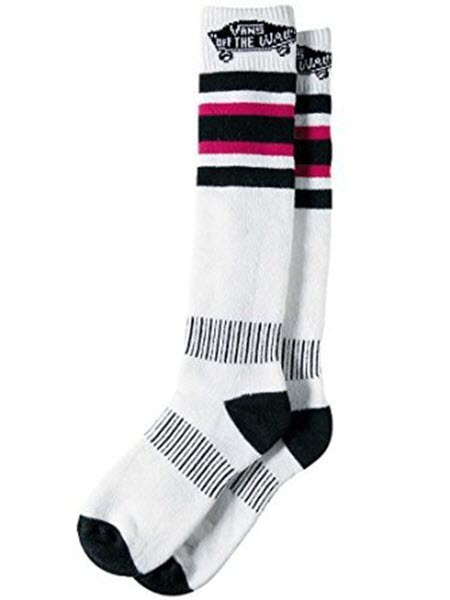 These premium snowboarding socks are crafted with proven materials and advanced textile technologies to ensure each pair offers high-performing style that feels as good as it looks. We started with a bold pattern spun from Acrylic, one of the most versatile fabrics chosen for its warmth, softness and hypoallergenic properties. Then we built in an anatomically correct design that offers just the right fit for each foot - even the left one. Special compression technology promises to improve your muscle efficiency and circulation to the feet, helping your ride strong and keep your days long. A Y-Gore seam bear hugs your heels to prevent lift while strapped into your board, while welt cuffs hold the tops of your socks in place so you can spend more time lapping your boyfriend at the park and less time adjusting your scrunched up socks. Our roots are in the mountains, so rest assured every pair of our premium Fusion Snow socks are grown with our signature attention to detail for a plush ride all season long. Stances Fleur is your invitation to stop and smell the flowers, even if all you can see are the pines.